An IED emplacement team, operating inside of Helmand province, is captured by the nearby PGSS blimp. 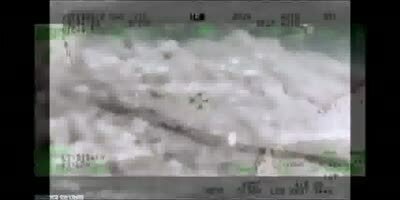 The Taliban IED team continues about their operation, not knowing that they are being watched, as a nearby Apache waits for the word to drop bodies. 1st ID 1st Brigade 2-34 Bravo Co 3rd PLT REAPERS Kandahar Afghanistan 2011 Firefight. This was about a 2 kilometers away from COP AJK.